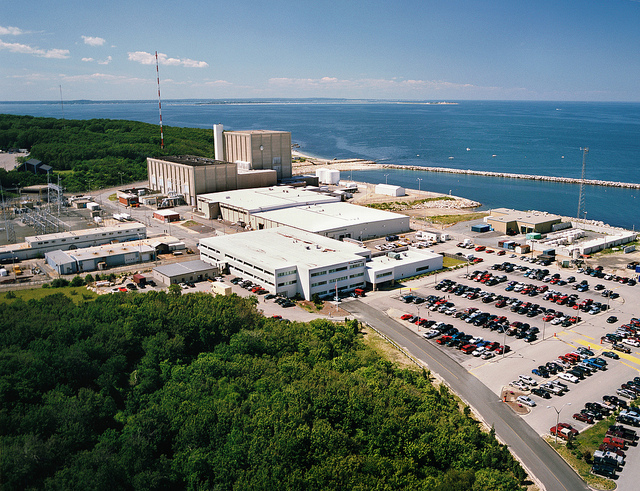 When the Pilgrim nuclear power plant got a second “white” performance indicator in the same area of performance in 2014 it meant we would ratchet up our level of scrutiny until the underlying issues were resolved. Starting Monday, that scrutiny will take the form of a team inspection at the Plymouth, Mass., facility. Eight NRC inspectors will begin performing evaluations in several key areas. For one, they will review the evaluation done by Entergy, the plant’s owner and operator, looking at why the problems that triggered the indicator changes occurred. The team will also dig into the fixes, or corrective actions, put in place by the company to prevent the issues from happening again. They will also look at whether the issues could have affected other parts of plant operations. The timeframe for the inspection gave Pilgrim time to evaluate and fix the problems, so the NRC inspectors can make sure the corrective actions are adequate. Another area the team will assess will be whether there were any safety culture weaknesses that caused or played a part in the performance issues. The NRC defines nuclear safety culture as values and behaviors that emphasize safety over competing goals to ensure protection of people and the environment. Once the team’s on-site work is finished, the inspectors will brief Entergy at a high level regarding what it has found. That is followed by an inspection report issued within 45 days. We also plan to conduct a public meeting with Entergy after the inspection is wrapped up. This meeting, which would likely occur in December or January near the plant, will provide a forum for the NRC and the company to discuss the performance issues, their underlying causes and any improvement steps. The NRC will provide notice on the date, time and location for this session. As a refresher on earlier developments, the Pilgrim plant’s performance indicator for Unplanned Scrams (shutdowns) with Complications crossed the threshold from “green” to “white” following the third quarter of 2013. Then, in the fourth quarter of last year, the performance indicator for Unplanned Scrams per 7,000 Hours of Operation also changed to “white,” something that occurs if a plant has more than three such shutdowns during the designated period. This placed Pilgrim in the Degraded Cornerstone Column of the Action Matrix used by the NRC to assess plant performance. And that, in turn, requires the heightened NRC attention to be paid during the team inspection this week. Clean Up And SHUT DOWN….this threat to public health and safety for UNNECESSARY POWER (providing 5% to grid & never noticed DUING YOUR NUMEROUS SHUTDOWNS, PILGRIM!) must be put in the DUSTBIN OF HISTORY where it, like the dinosaurs, belongs! What is it about the way NRC and INPO do business that allowed this to get as bad as it is? What needs fixing is not just Pilgrim, not just Entergy, but also NRC and INPO. “NRC inspections just do not find anything.” Your friend, blackout, should call you on the carpet…You’ve obviously not taken the time to read all the inspection reports produced not only by the full-time resident inspectors at each site, but by the many visiting regional inspectors, all of whom contribute to the thousands of hours of scrutiny accumulated year in and year out. If a plant is operating at a level that merits only the baseline program, it’s because few incidents of any SIGNIFICANCE have happened in the recent past. And each plant gets a very invasive 3-week biennial inspection of their corrective action programs simply to assure the health of the system by which the site identifies their own problems. The presence of a healthy CAP process allows the NRC to assume that a site is self-critical enough to operate safely and reliably. Well, well Scott. As usual the NRC only gets excited if a nuke plant has performance problems. The NRC never gets involved due to the results of their own baseline inspection program which each licensee pays millions of dollars for each year! NRC inspections just do not find anything. But if the licensee has significant events, too many scrams, too many screw-ups then and only then does the NRC do something. The NRC then sends in more inspectors with a vengeance and low and behold they usually find many more problems that the NRC had no clue existed before. Your baseline inspection program and the way it is administered is seriously flawed. Please don’t continue to do the same unproductive, reactive thing. This discussion seems to have veered away from the topic of the blog post. If you wish to continue, please post your comments to our Open Forum page. The NRC, under the authority of the Atomic Energy Act, can order the shut down of any U.S. nuclear power plant for an imminent safety concern of any cause. The NRC’s guidance on protecting electrical equipment does not include Faraday cages. Scott, thanks for the reply, I read them. Maybe I missed it or maybe its not there, but to retierate my question, does the NRC have the authority to tell a nuclear plant or perhaps all 100 nuclear plants to shut down, say 2 days in advance of arrival of a CME that was deemed extremely hazardous? Once the CME or EMP hits, it won’t just be computers that are fried, even things like the charge controller that send power from the battery backup bank to the emergency panelboard, or the emergency panel board itself could be fried. The gensets all rely on electronics for operation, so those could all be down also. Does the NRC require faraday cages around any specific equipment? NRC research includes examination of how U.S. nuclear power plants safely withstand solar flares or manmade electromagnetic pulses. Beyond that, NRC requirements for U.S. nuclear power plants will cause them to shut down if the grid is compromised or unavailable, regardless of the cause. The National Oceanic and Atmospheric Administration’s Space Weather Prediction Center (http://www.swpc.noaa.gov/) is one of several agencies worldwide that monitor solar activity and provide advance notice of potentially disruptive events. The NRC and the Federal Energy Regulatory Commission (which oversees the nation’s electric grid) continue their collaboration on grid stability and its effects on U.S. nuclear power plants. I have followed many of the Entergy plants, and I have to say, they seem to have the most problems and the oldest plants. The competing interests between profits and safety are not going to ever be resolved by a Corporation whose only purpose is to pursue profits, and usually in a very short sighted way. We need the NRC to REGULATE, and penalize. And when they do penalize, we have to be absolutely sure that the utility cannot include paying those penalties into a future rate case that lets them jack up the rates that the citizens have to pay. Excellent, this is the type of work that lets the ratepayers who fund NRC know they are getting something for their money. Problems and lack of training to handle emergency shutdown of plants (sometimes happening during other coincident civil emergencies) is the most dangerous aspect of nuclear plants. Without a proper shutdown, that can lead to melt down.